Why Is Dreams Taking So Long to Release? Venture into any Dreams discussion and you’re going to find someone complaining about the time that the title’s taken to release. Media Molecule teased the project all the way back when the PlayStation 4 was revealed, and then formally announced it a few years later. But it’s still not out, and despite its very obvious ambition, people want to know why. 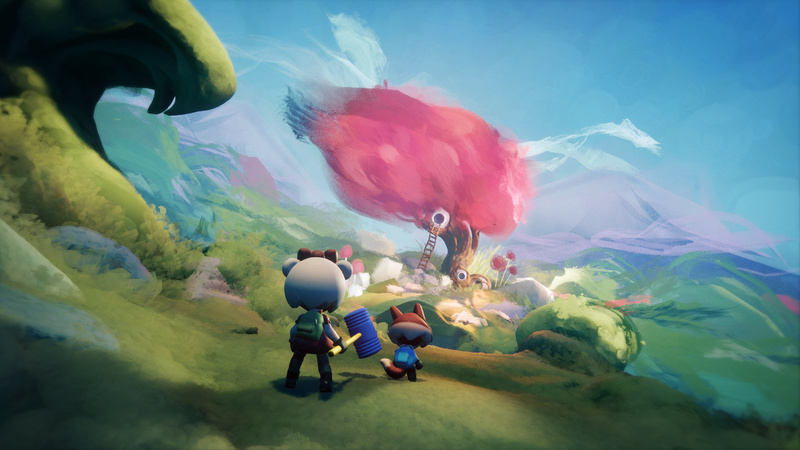 We really think you’ve got to keep in mind what Media Molecule’s actually doing here: it’s built a full engine with all the features you’d expect of commercial, industry-grade software – and then it’s used its own tools to build a game within it. And it’s done all of this with a much smaller team than you'd usually anticipate – and without crunch. So yes, it’s taking time to cook – but it feels like it’s almost at the finish line now. Can't wait for the beta later this year! Dreams is going to be something truly special. There's nothing quite like it, to the best of my knowledge, on any other gaming platform. So I'm ok with them taking the time to get it just right. It's what I've been saying for a long time now, it's just the nature of making something ambitious. I am happy with them taking there time would of liked Sony to have given it more prominence always seemed to be ignored at E3. I hate to say it, but I think it will be a spectacular failure for the most part. It may just be me, but it looks like one of those games that most people will be too lazy to try and figure out the full mechanics of creation. Like, it's a nice idea, but in practice most people will fiddle around with it for five minutes, create nothing particularly amazing, and then just go back to playing COD or FIFA because it's easier. Maybe if they hadn't spent the last 3 years trying to get the beta out? Why even announce a beta 3 years before the game releases? I'm pretty sure announcing a beta implies the game is nearing completion. Nobody thinks, "Oh, a beta is coming out in a few months, game must only be 3 years away now". Looking forward to this but it's another game that was announced way too early. I'm sure it'll be worth the wait though. @tomassi You don't have to create stuff, you can also just play other people's levels/games. @tomassi Possibly. But all it'll need is a dedicated small percentage to make some great levels/games for everyone else to play. And if this is a cross gen game it could have a good shelf life. At this point, I think of Dreams as a wasted project generation-wise. If this takes until late 2019 and the PS5 may arrive at the end of 2019 or more likely in 2020, this should either be a PS5 launch title or at least cross-gen. Otherwise, it will be forgotten within less than a year after launch. @tomassi I think you'll be surprised. People made insane things in LittleBigPlanet, and this is so much more powerful it's not even funny. I must be one of the few that has never had any interest in this game.It's amazing what they have shown so far but it's definitely not my type of game. @rjejr what, in playstation's history, suggests they would hold a title back to release on their next platform? I think they have the track record of releasing high profile games even after they have launched new systems (Syphon Filter 3 on PS1, GOW 2 on PS2, GT6 on PS3). 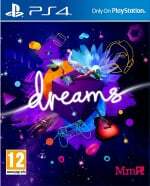 Dreams will be on PS4. Whenever it comes out, I'm there. @SMKpaladin Yeah, that's my biggest worry as well. It kinda needs a PS5 port at this point. I just finished LBP vita and thought dreams will just be a 3D LBP. I forgot media molecule was making it. I’m definitely hyped for dreams, it can’t comd soon enough. If it was always going to take this long then there was little point in announcing it so early. What this game will do will be potentially be good but its relying on the community to be very creative and be time rich. Two factors that a lot of people do not have. Guys, give MM time. They're like the last remnants of the classic PS feel that lured me in the PS1 world back in the day. They know what they're doing. I did not reaqlise it was going to be so short in that case it relies even more heavily on player based creations to have longivity. @tomassi It has the potential to be the gift that keeps on giving if there are enough decent creators out there regularly making new content. I can't wait to see what people come up with. Siobhan Reddy and her team are way too cool. Can't wait for this game/creative framework! @Neolit I remember 'run right to exit'. It was a classic. A poignant meditation on life itself. One is born. One runs right. One exits this world. @Rob_230 I don't think the campaign is what people will be buying in for (personally I think it's a mistake to do so) there more likely add to it over time but don't expect it to be long cos really that's not what Dreams is for. It's a shame the online multiplayer wont be ready at launch cause that could add some value playing with friends just messing about. That's what my friends and I had planned on doing but I guess we'll have to wait on it. I doubt I'll bother with this. I got the first LBP and had a bit of fun for a while, but soon tired of it. I tried to create my own stuff, but just didn't have the patience, and didn't find it that intuitive. There were some real gems among what others created, but most of it was the equivalent of a 5-year-old's drawing stuck on the fridge. MediaMolecule already have a cool fanbase, so we can expect a lot of creations from a dedicated community. I really want Dreams to be successful, the studio really deserves it, they are always trying to create something new. @Wazeddie22 What if someone makes a full game in it that is your kind of game? I could see people who have the skills to make quality content but don't have the tools make some amazing games at the moment. Or real developers making pet projects in Dreams for fun. @JoeBlogs ah, a true fan. It makes all those sleepless nights spent in development crunch worth it! Thank you, thank you. This makes the team pumped up to really give our best while making "Run Left to Exit" (prequel story). understandable but i’ve lost interest. i do hope this doesn’t happen again, regarding the time from reveal to release. I still love it, knowing it will be a product made in a healthy environment is a plus. What worries me is how much penalized one will be without PSVR or Move. @Bliquid I believe they've used the dualshock in all the demos so far. I can definitely see PSVR being a big advantage, seeing the things you make from all angles while you're sculpting them is pretty neat. It may sell me on PSVR! Okay, I have a question for you guys. How many of you think a game like this will benefit more on PSVR than the PS4? Click 1 for yes or 2 for no. Looking forward to it, even with the wait. It's nothing like waiting for the third book in a trilogy to come out. It's been 10 years and still no Third book for the kingkiller chronicles. I'm more interested about how they are going to handle all the legalities. There will be so many Star Wars and other game/movie clones that may get axed even before they are released to the community, good or bad games. @Dange Good point.Especially if Knack 3 does get created in the game.I'm holding you to that @Octane! The Last Guardian. Shown off at E3 2009 for PS3. Released 8 years later on PS4. You said "what", you didn't ask for a full list, that qualifies as a "What" to me. And I never said it wouldn't be on PS4, I used Zelda as an example, which simultaneously released on Wii U and Switch. @Octane that's an interesting point. Would they allow a poor man's Nathan Drake or Kratos..
@whywai88 You have been warned about your language here before this will be your last warning so please watch the language. If you need to choose another word try Google.